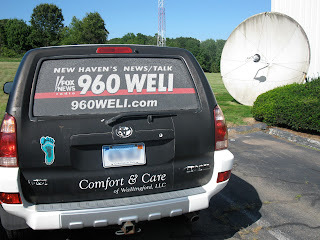 WELI was the radio station my family always listened to when I was a kid to hear if school had been cancelled during a snowstorm. 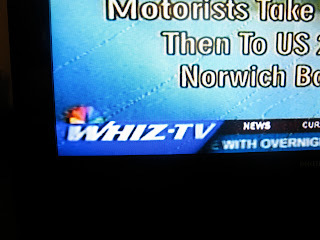 It didn't occur to me until I was an adult that their letters spell out "We lie". 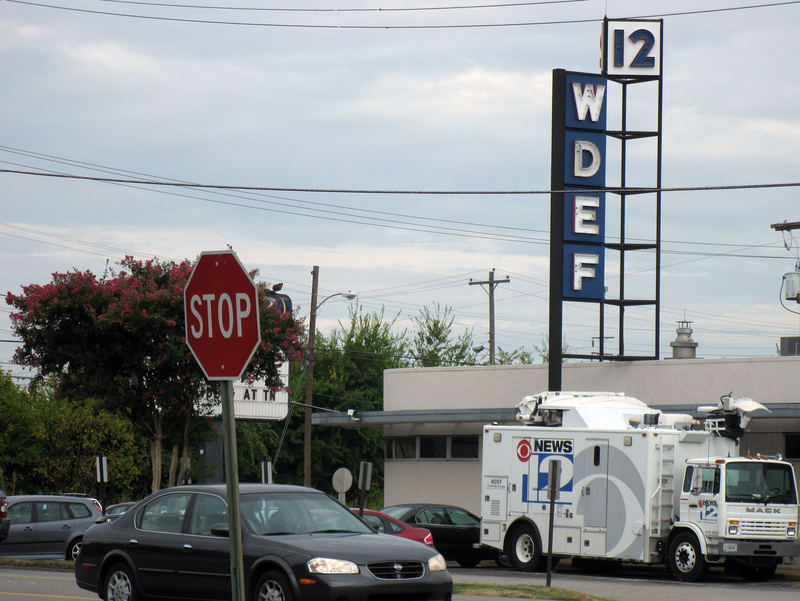 We try not to be political here on this blog, but I'm sure someone somewhere could have a lot of fun with a radio station that carries Rush Limbaugh and Sean Hannity with the call letters "We lie". Enterprise, Alabama is the home of the Boll Weevil monument, seen in the intersection in this photo. 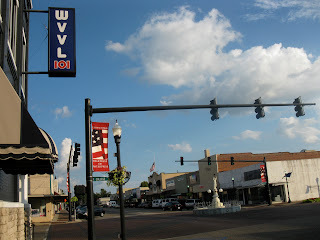 The local radio station capitalizes on this with the letters WVVL and they're known as Weevil 101. Not sure what their format is, but I'm imagining Queen's "Weevil weevil rock you" is on the playlist. 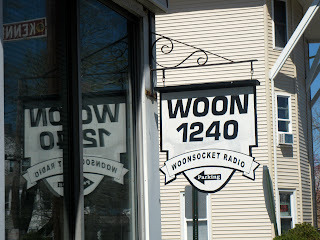 Not only does Woonsocket, Rhode Island have an eccentric name for their town, they have a kooky radio station name as well. We swoon over WOON. 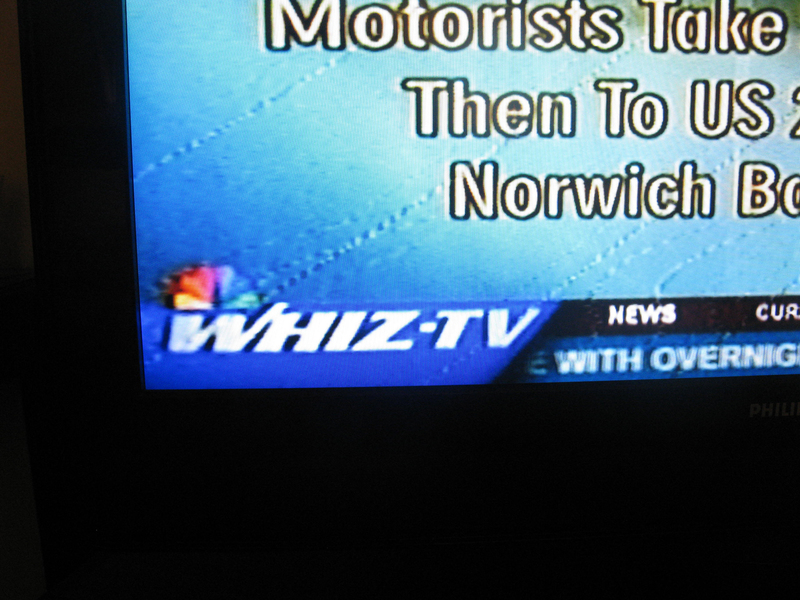 WHIZ-TV calls themselves southeastern Ohio's news leader. We can't verify that but they're certainly Number 1 in our book. 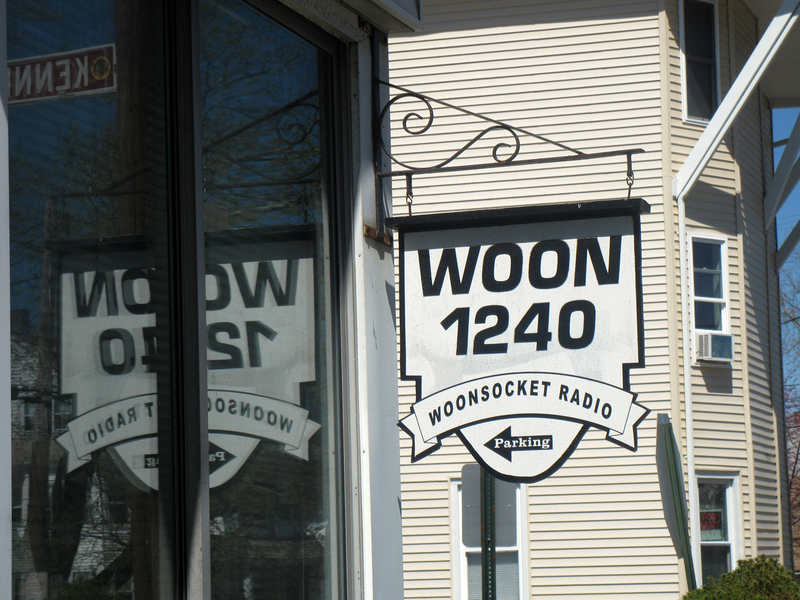 WOON does seem like a particularly quirky and awesome set of call letters. 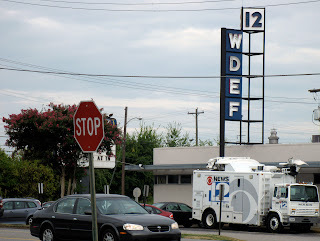 This reminds me I snagged a bunch of older radio/tv station signs back in 2010 ... and I still haven't posted them yet!